The PSA’s year-long, worldwide search for songs that inspire peace results in 11 Categories of Peace Songs Awards Finalists! 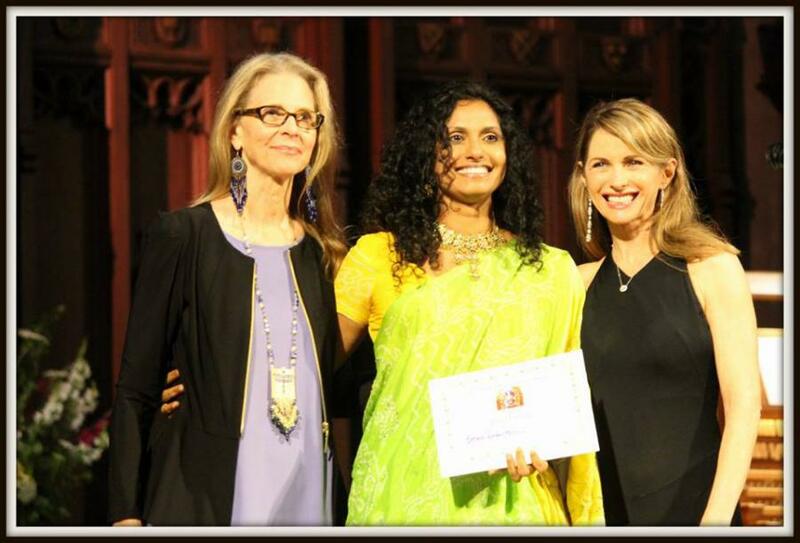 Last year’s second annual Peace Song Awards Ceremony at the stunning First Congregational Church of Los Angeles attracted an international array of talented performers, peace-minded celebrities including Karen Lorre, Lindsay Wagner, Peter Joseph (Zeitgeist, the Movie) and renowned environmentalists like John Quigley. A new honor is being added for the third annual awards, in celebration of an individual who have dedicated their work, lives or art to the mission of peace. A Peace Legend Honoree will be announced this summer 2019 in advance of the third annual Peace Song Awards Ceremony on September 21, 2019. "It’s been an amazing year of music, spoken word and video submissions, and so heartening to know that there is a great interest in peace around the world. We are honored to highlight this glorious music, brilliant poetry and the imaginative music video through the Peace Song Awards,” says Los Angeles-based Steve Robertson, who is also Founder/CEO of the sister organization, ProjectPeaceOnEarth.org. The awards are driven by the knowledge that the desire for peace is found in every community, every language, and every style of music. The PSAs explore music for peace in many music genres including Rock / Pop, Country and Folk, A Cappella, Choral, Classical, Opera, Jazz, Hip Hop, New Age, World Music, Acoustic Contemporary, Spoken Word Poetry, and one “all-genre” Music Video category. 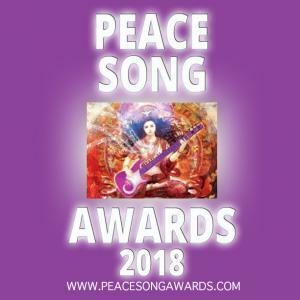 The Peace Song Awards are a unique opportunity for qualifying artists to have their music reviewed and celebrated by leaders in the entertainment world. This year’s Jury Panel Members consist of: Maria Conchita Alonso (multi-platinum Latin singer), Stewart Copeland (GRAMMY Winner, The Police), Randy Copus (of New Age group 2002), Jonathan Elias (Elias Arts/The Prayer Cycle albums), Siedah Garrett (writer of “Man in the Mirror”), Trinh Hoang Hai (musician/philanthropist), Peter Joseph (musician and director of the Zeitgeist movie series), David Joyce (GRAMMY Winner, Best Jazz Vocal group), Sangeeta Kaur (singer, 2016 Grand Prize PSA winner), Tim Kring (TV producer, Touch & Heroes), Steve Robertson (Founder, ProjectPeaceOnEarth.org), Joanne Shenandoah (GRAMMY-winning Native American singer/songwriter), Ralph Simon (co-founder of Zomba Group and Jive Records, mobile business exec), Sean Stone (actor/director) and Peter Yarrow (legendary folk singer & peace activist of Peter, Paul & Mary). Visit the Peace Song Awards website for a complete list of Jury Panel Members and their biographies. Now in its third year, Formerly called, the Global Peace Song Awards, the organization is re-branding to Peace Song Awards to set itself apart from other “global” music award programs. 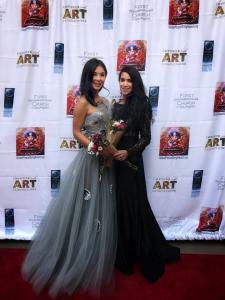 The awards are based in Los Angeles, and are managed year round by an evolving team of artists, activists and executives. There are three ways to "win" a Peace Song Award: by expert Jury Vote, Public Selection, and Social Media reach. Winners of each music genre category may win a wide variety of valued career-enhancing prizes. All PSA Prizes are designed to empower the winners to further their creative talents, music careers and ability to financially succeed in the world of music. Prizing includes, but is not limited to generous contributions by Stefan Hegar of Fisheye Music Studios; Shayne Locke of Soul Traveler Radio; award-winning singers/musicians; artist/designers Syamarani Dasi and Greg Spalenka; webinars with entertainment attorney Burgundy Morgan, Esq, marketing guru Suzanne Doucet, and music publicist Beth Ann Hilton. There is an overall GRAND PRIZE that consists of a producing/recording session with 5-Time Grammy Winning music engineer Alfonso G. Rodenas, a value of over $15,000. In response to an overwhelming number of quality entries, Robertson notes, "Everyone who took the time to create a musical score, write a beautiful poem and/or produce a music video, whether they were voted as a Finalist or not, is a WINNER! They've made a huge difference in our world by opening their hearts and souls to birth a gift of transformation for our world. Again, we thank each contestant and all of the Finalists for their inspiring music, poems and videos. “Our heartfelt thanks also goes out to all of our PSA Jury Panel members, new Advisory Board members -- Beth Ann Hilton (Marketing and Communications), Fritz Heede (Composer/Film Producer), Scott Page (Saxophonist for Pink Floyd), Peter Young (Pres/CEO of Hubcast Media) and all of our generous prize contributors...their brilliant expertise, great generosity and caring support makes it possible for the PSA contest to support great musicians, poets, and and music video producers in bringing their liberating message of peace to our world." The final Peace Song Awards “Jury-chosen” winners will be announced at a live awards concert in Los Angeles on Saturday, September 21, 2019 (The United Nation’s International Day of Peace). The exact time and location to be announced in the coming weeks. Robertson encourages, "If you'd like to explore the 2018 PSA Finalists, please join us to listen to their music and watch their videos in our Facebook Community."